In an effort to provide a safer environment for construction crews and residents, Auburn Avenue and Dean Avenue have been closed on the North side of Richard Street. We apologize for any inconveniences that this may cause motorists. Active Work Sites. Note: Traffic will be closed at Richard Street at Dean and Auburn Avenues. This week the contractor is working on both Dean Avenue and Richard St. Once the pipe is laid on Richard, a road crew will place the gravel surface, and a restoration crew will perform clean up and seeding of the disturbed lawn areas. Paving of the street will occur later. 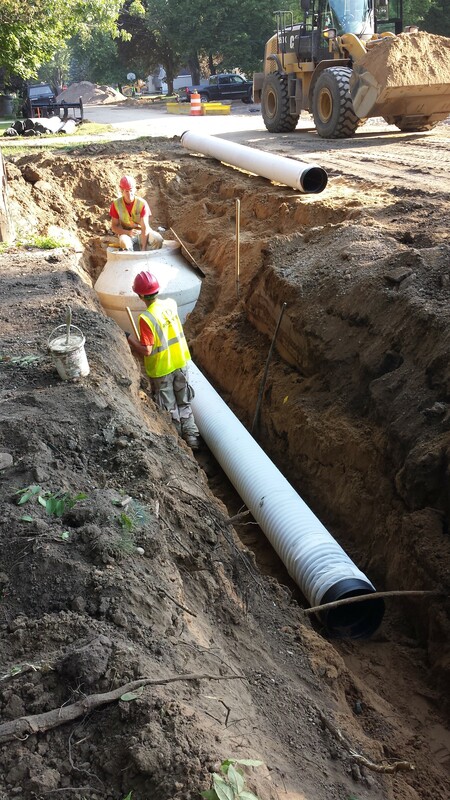 While the pipe work on Dean Avenue continues on the west side, another crew is coming in to install sidewalk on the east side. An important note for homeowners in this area, once the sidewalk is poured, it cannot be driven on for at least 3 days. Project representatives will be on the site to assist landowners with parking coordination. 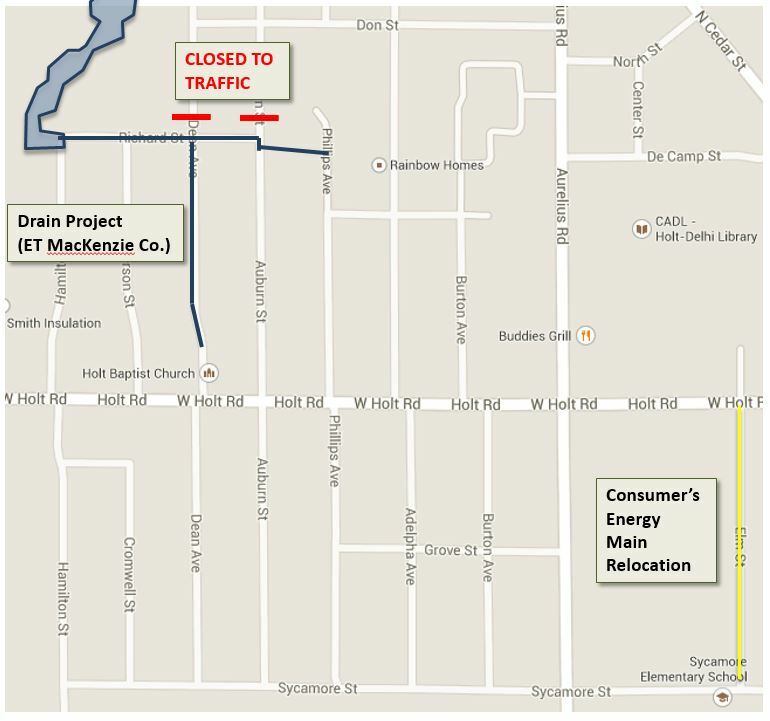 Consumers Energy is continuing work on Elm St. performing gas main upgrades and restoration. With crews now working on both Richard and Auburn, the area has become quite congested. We ask that landowners be patient as sometimes access can be cumbersome when available routes to homes are changing daily. You may notice that additional barricades are popping up on the north end of the construction site. This is to protect both the construction crews and drivers from unnecessary danger.